Regardless of whether you’ve ever watched HBO’s Game of Thrones, you’ve most likely heard the buzz about the Season 7 release. In the days leading up to the debut on July 17th, media outlets across the world were bursting with anticipation, as talk shows, TV shows, and social media feeds were barraged with updates. Undoubtedly, this can be attributed to the massive cult following which the show has garnered over the previous 6 seasons. In fact, last year’s season premiere set an all-time high with 10.7 million people streaming internationally. Although there has been no count yet, the numbers predicted for this time around should be in the 11 million range. However, where did this mass following come from? Furthermore, what contributes to the show’s viewership continuing to skyrocket? The answer: HBO’s phenomenal advertising campaigns. Winter arrived early in Great Britain. Fans and passersby in London may have been shocked this week when they spotted The Night King descending on the capital on horseback from Hadrian’s Wall, joined by a troop of White Walkers. Sky, which airs the show in the U.K., spoke of sightings at such London tourist attractions as Oxford Circus, Tower Bridge, The Tower of London and Buckingham Palace. The stunt was designed to promote the return of Game of Thrones to Sky’s Sky Atlantic network and Now TV streaming service on Monday, July 17. Sky Italia will air the premiere of the seventh season at 3 a.m. local time Monday, simultaneously with the U.S. debut. To prepare for the big event, the company has launched a dedicated pop-up channel, Sky Atlantic Game of Thrones HD, with one past season airing every day ahead of the season 7 opener. This weekend will also see a two-day party at Milan’s 15th century Sforzesco Castle, featuring free installations and screenings dedicated to Game of Thrones. Around the event, Sky will host parades of cosplayers, live concerts and DJ sets, themed make-up sessions for kids and sword dueling and fencing performances. Sky also organized an actual marathon, or “marathrone,” to mirror the television marathon and to promote Sky’s Game of Thrones box sets. Runners are chasing, from Rome to Milan, a giant truck that is screening the first six seasons of the hit show. In Moscow, the premiere of the season 7 opener will be hosted in a metro station. Amediateka, an online video service that will as of July 18 offer the season to its subscribers, says it will be the first-ever premiere of a TV series of that kind in the world. A metro station in central Moscow, whose name is yet to be revealed, will be turned into a movie theater, with a screen installed. HBO Canada has been touring a replica of the iconic Iron Throne of the Seven Kingdoms around TV shows from parent Bell Media to remind Canadians about the new season launch, including entertainment news magazine show eTalk, the Sportscenter highlight show, genre show Innerspace and morning lifestyle show Your Morning. Your Morning reporter Lois Lee even tweeted a photo of herself on the throne. Winter has already hit the country, literally, with Australians, especially in the southern states, shivering through some real cold spells in recent weeks. So to launch season 7, Foxtel, the exclusive Australian TV home of the show, is using the chilling Night King in an array of larger-than-life, interactive, out-of-home experiences. Bus stop signage on digital sensor panels has the leader of the White Walkers’ breath freeze as people walk past, while day-to-night panels show campaign messaging on ice backgrounds in the daytime, while the night panels show an illuminated Night King’s face with the same messaging. Most strikingly, artists have painted Game of Thrones murals on building walls around the inner city suburbs of Sydney and Melbourne. These will be repainted each week with new imaging from the show as the season progresses. Game of Thrones season 7 will again air in India on the StarWorld network, owned by 21st Century Fox’s Star India, as it did last season after moving there from HBO. As part of its digital marketing plan, the network has created special short videos that trace the journey of three main characters – Cersei Lannister, Jon Snow and Daenerys Targaryen. The videos are featured on StarWorld’s Facebook page and are also airing as promos on the network ahead of the season launch. HBO Asia has also been promoting the show’s return in its various countries. Sixteen Game of Thrones-themed sculptures “on tips of fragile graphite pencils produced by renowned Russian artist and sculptor Salavat Fidai” were exhibited in Singapore and are now being shown in Malaysia, for example. Plus, HBO Asia teamed up with Taiwanese ice dessert outlet Ice Monster to produce exclusive limited-edition Night King popsicles. It said 100 popsicles were given out each day over two weekends to fans who uploaded a photo of the White Walker on Facebook or Instagram with the #GoTS7TW hashtag. The entire Ice Monster outlet was Game of Thrones branded for almost three weeks. Pan-Arab pay TV operator OSN — which has exclusive rights to Game of Thrones across the Middle East — is throwing a “water, fire, lasers, lights, music and pyrotechnics” show to celebrate the launch of season 7 on Monday. The event will take place at the Dubai Festival City shopping mall, which will also feature the Iron Throne itself starting Friday. HBO’s success can certainly be attributed to the fantastic plot of the show. 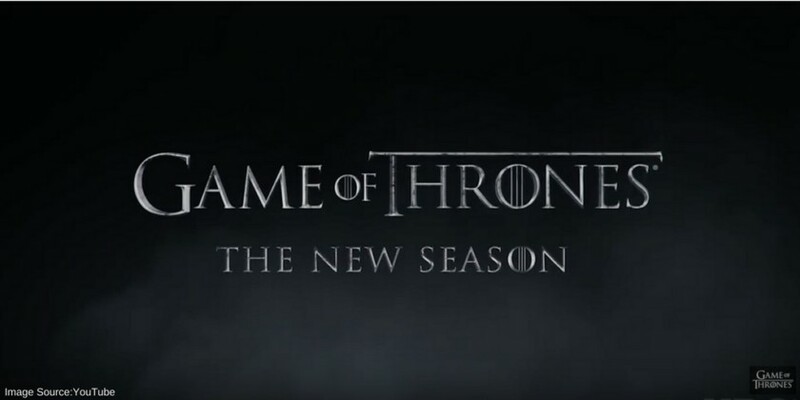 But their creative way of marketing the 7th season of Game of Throne has helped to generate and maintain that buzz.